Boulder rocks, as they say, especially if you’re outdoorsy, a foodie, or a ghost aficionado. Within easy reach of downtown Boulder there’s a great variety of outdoor activity, though at 5430 feet, a brisk walk taxes the lungs of flatlanders like me. Slow and steady, plus a lot of water, does the trick. You also have to pace yourself with eating to stretch out the enjoyment. 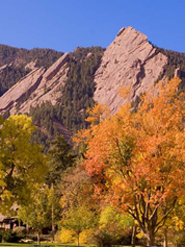 Try the hikes that start at Chautauqua Park, at the base of the Flatirons, the symbol of Boulder. This is also rock climbers’ heaven. While you’re there, visit the Colorado Chautauqua House, a historic landmark that began with the turn-of-the-century movement educate and enlighten working-class citizens by creating gathering places dedicated to learning. Known as Chautauquas, the public spaces offered a place for traveling lecturers, politicians, writers and entertainers to deliver their message to large crowds. In continuous operation since July 4, 1898, the Colorado Chautauqua is one of only three remaining Chautauquas in the country. 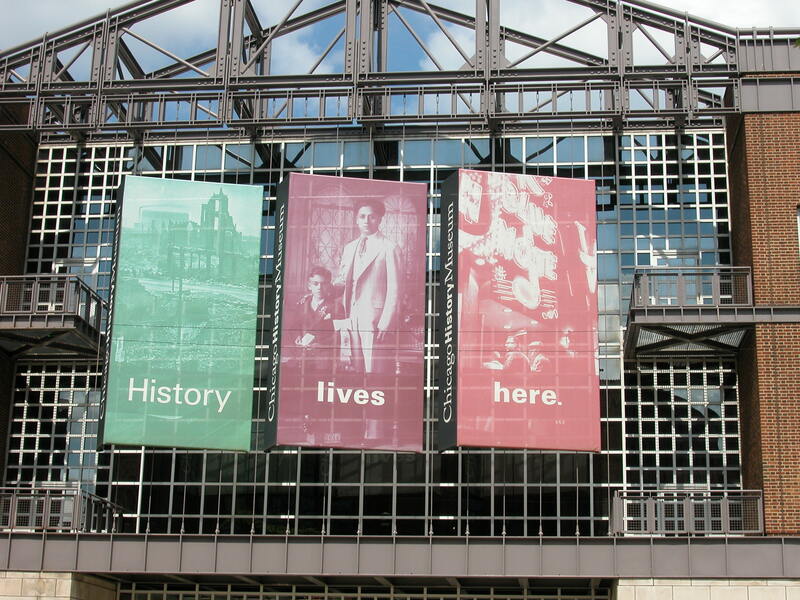 Today, it is home to concerts, cultural events, educational programs, recreation and historic preservation. The cabins here look like a cozy place to stay and the dining hall comes highly recommended. You can hit the trail on wheels, too. Rent bikes and hit the Boulder Creek Trail, which for me was slow ride up and a very fast ride down. It’s also fun to cruise the beautiful campus of University of Colorado, and then stop for a beer outside at a huge array of downtown bars and eateries. For further relief from all this exertion—and to sooth knotty muscles–an afternoon at the spa at the luxurious St. Julien Hotel is just the tonic. The hotel offers Sunday morning yoga, too. Bon Appetit named Boulder the “foodiest town in American” in its October, 2010 issue. To sample some of the reasons why Boulder topped the list, stroll the Farmers Market then grab coffee, tea, breakfast or lunch at the fabulously detailed Boulder Dushanbe Tea House, a gift of Boulder’s sister city Dushanbe in the Republic of Tajikistan. From 1987 -1990, more than 40 artisans created the decorative elements of the Teahouse, including its hand-carved and hand-painted ceiling, tables, stools, columns, and exterior ceramic panels. My other favorite dining experiences: Salt and The Kitchen, both located on Pearl Street. Pearl Street is also home to a number of independent bookstores, with both new and used books. I like the Boulder Book Store with its café next door. While you’re there, check out Boulder: A Sense of Time & Place Revisited by Silvia Pettem. Finally, if all this doesn’t make you breathless, perhaps a good fright will to the trick. Fans of Stephen King’s book, The Shining, will want to make a trip to Estes Park (a drive of about 45 minutes) for a look at the Stanley Hotel, King’s inspiration for the book. They offer The Stanley Hotel Historic Ghost Tour. For anyone planning to stay in this lovely hotel, they assure visitors that the spirits there aren’t as malevolent as those in the novel. Haiti isn’t exactly the place I’d recommend for a book club trip, but it’s certainly a place about which book clubs are interested in reading. My friend Patty, a fellow book clubber, is off to Haiti on a service trip to assist in a Haitian orphanage next month. She’s among hundreds of Americans who travel to Haiti to work in a multitude of ways to improve conditions there. 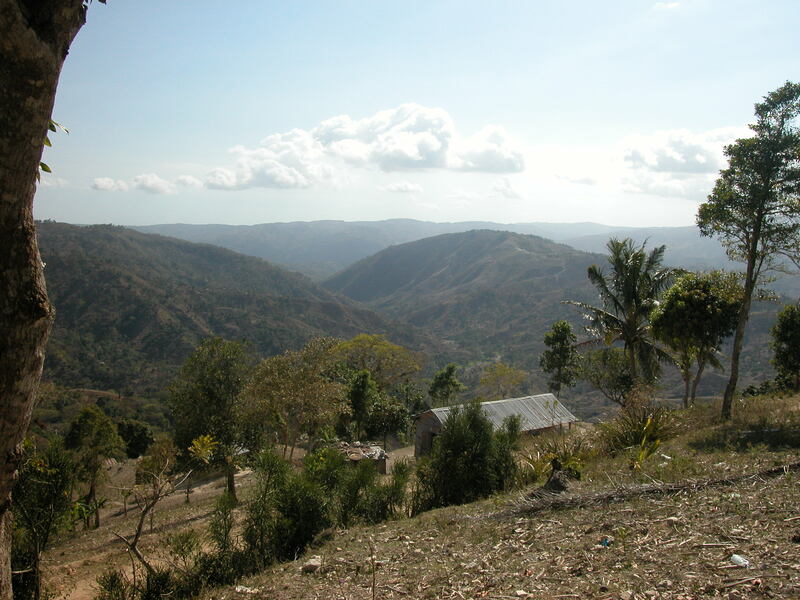 Of course, literature is one way to understand the complex history, politics and culture of Haiti for those who go there and for those who simply wish to understand more about the seemingly unending problems of this country that is only 600 miles from the coast of Florida. I, too, was in Haiti (thankfully before the earthquake) and found Edwidge Danticat’s After the Dance: A Walk Through Carnival in Jacmel, Haiti books fascinating to read while I was visiting there, particularly around Jacmel. Also check out Danticat’s beautiful writing about the Haitian experience in Breath, Eyes, Memory and Krik? Krak! In addition, our book club read All Souls Rising by Madison Smartt Bell, which is a somewhat horrific, but excellent novel of the Haitian slave rebellion and was a National Book Award finalist. It’s part of Bell’s trilogy of novels about the Haitian revolution of 1791–1803, that includes All Soul’s Rising, Master of the Crossroads and The Stone That the Builder Refused. Bell also wrote a biography of the central figure of the rebellion, François Dominique Toussaint Louverture. Our book club also read Tracy Kidder’s Mountains Beyond Mountains: The Quest of Dr. Paul Farmer, a Man Who Would Cure the World about less than redressing the inequalities of medical service to the desperately poor. Also recommended: Paul Farmer’s book, The Uses of Haiti.